Those two little letters changed my life forever. Lactose Intolerant. HATE THEM! I, the world-champion milk drinking, custard eating, ice cream consuming, creme brulee inhaling, cheese aficionado-ing dairy diva. No one said this was a fair world, and, in the grand scheme of things, I know there are worse conditions to live with. I was actually fine with all the white stuff until I reached age 40, then it became curtains for my bec fin after that. For several years, I yearned and mourned for my milken delights, no longer mine to savor and enjoy! I actually went through the equivalent of withdrawal. But whoever said necessity is the mother of invention was right. And reward is its father, too! I began finding ways to satisfy my dairy urges, as I have come to call them. Shopping, browsing, networking, experimenting – I found out that not only was I not alone, but there actually were substitute products out there for people just like me. I also began to learn the trial-and-error process of lactose-free recipe adaptation that has brought me some of my greatest triumphs and masterpieces in the kitchen. This blog is a compilation of some of the recipes and discoveries I have made along this dairy-free journey into a brave new world of cooking, tasting, and living without milk products. I hope it can serve as a guide to fellow sufferers, and the newly-diagnosed. Sometimes living without dairy is not easy, but with a little ingenuity and resourcefulness, it can be done very well. Life is good. Thanks, Yasmeen! Back at ya! I’m Robin, a publisher for Foodbuzz.com. They are running a referral program and I’d like to refer you to this fantastic program. I think your blog would be a great fit. The program is designed to promote and drive traffic to your blog, foster a food blog community and provide a way to monetize your site should you choose to. It’s awesome. All you have to do is click the following link to fill out the Foodbuzz Referral Form. The Foodbuzz Team can then contact you asap! Hi! I’m Mary and I writing to compliment your site and see if you could do me a favor. First, I think you’re a very talented chef and photographer. You’re recipes and pictures are very appealing. Second, being that you are living with lactose intolerance, I think that your opinion about my company’s product would be highly valued and trusted by others who are lactose intolerant. If you can, please visit the site http://www.lactagen.com and post your opinion about it. I would appreciate it very much! Alot of your recipes suggest non-dairy creamer in place of milk, but every nondairy creamer (and also butter substitutes) have milk or buttermilk solids, whey or other milk protein in them. Do you have substitutes for people who are more than just lactose intolerant, say allergic to the protein in milk? Also many people who are allergic to milk prorein are also allergic to soy protein. Suggestions please. Cathy, read your labels carefully. There are many butter substitutes that do indeed have milk products in them; same with creamers. I use Soy Garden margarine, which also has zero transfats and is vegan, which means no dairy products at all. As for nondairy creamers, look for Coffee Rich – again, completely dairy-free and vegan. I’m sorry I can’t help you with soy protein allergies – my blog is about dairy-free cooking. I’m sure you could google some information. First, I want to say how I continue enjoying this blog. I read if for pleasure and inspiration, not only for milk-free recipes. Then, a request: please update the link of Israeli Kitchen on your blogroll. It’s now http://www.israelikitchen.com. Mimi, thank you, and done! 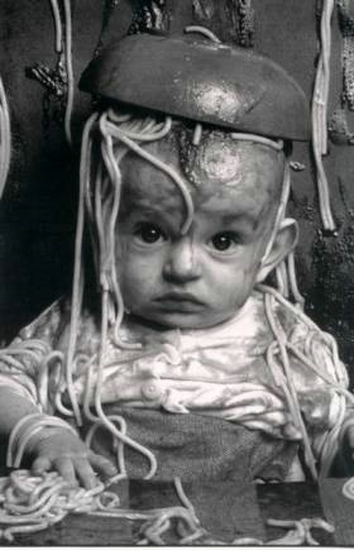 i stumpled on to this site because of this picture: https://gotnomilk.files.wordpress.com/2009/05/draft_lens2115061module10888252photo_1218421023spaghetti_dinner.jpg & it looks like a great site to help us all out with our lactose issues. Will keep reading for new recipes! Where is that photo from anyways? Is it a stock photo online? Here’s a seriously delicious soup, that is incredibly creamy yet doesn’t require any dairy. Adapted from Food & Wine. Thanks for the link, Erina, although your recipe does have butter in it, which is dairy – that could easily be substituted for margarine. I just love corn soups, and yours sounds fantastic. Hi I would love to link up with you- love your site! Hi, I cannot remember how I came across your site but it sure is up my alley. I love milk!!!! But my doctor decided that enough is enough, if I want to stop carrying a big bulge of rancid air around my tummy area I have to stop eating all things lactose. Pls pardon me while I “steal” all your knowledge and experience to help me on my way 🙂 I’ll earmark you on blog too! The photo of the s’mores-bar-like treat at the top of your site piqued my interest so much that I looked at every dessert recipe on the site (while getting distracted by many savory recipes along the way). The s’more tart sounded like a winner, but the photo attached to that recipe depicted a different dessert than the one pictured at the top of the site. Will you please direct me to the recipe for the dessert in the header photo that is making my mouth water? Thank you! How kind of you, Christina. Thank you so much for you comments and interest. Thank you! I can’t wait to try this and all your other recipes! Just stumbled upon your blog while searching for a dairy-free bread recipe. My nursing daughter has a milk protein allergy- prior to having her, I was a total dairy maniac! Looking forward to reading (and trying the bread recipe!). Great posts and recipes. Very informative and helpful. Thank you for sharing. My plan for when my fiance goes to sleep is to go through all of your cake recipes and I am inappropriately excited for this. I love that you have non-dairy recipes of all kinds on your blog. I am a young dairy addict and often go through withdrawals during vacations and trips. My love of cooking and baking has me reaching out into new foods and you’re blog has tons of inspiration. I look forward to all your recipes to come! Your blog is, quite simply, amazing. I love to cook and bake, but one of my dear friends cannot ingest lactate or wheat. I’ve been flummoxed trying to cook meals for her when we are together. We meet with a bunch of our friends every week and it seems almost impossible to cook foods that we all can eat and everyone will enjoy. Your blog has made my life quite a bit easier. I think showing people that we love them is most easily done by cooking, and your ingenuity has made it so I will never have to ask her to bring her own food. So thank you for that. I’m very grateful. re: Cream of Broccoli Soup Nov 2 2007 by kitchetta–how many people will this serve and have there been any changes t o this. I was searching the web for non-dairy recipes and came across yours. I would like to introduce a new product that just made its way to the market called No Moo Roux. It’s and Instant Non-Dairy Cream Soup, Sauce and Gravy mix that I had formulated to meet my needs, among those needs of others who are allergic to dairy. It was a long process but it’s finally ready for the non-dairy community to enjoy. Please visit my website at: http://www.No-Moo-Roux.com to learn more about the product and to view the recipes that I have made with it. The sky is the limit as to what you can do with it ~ you’re not limited to only these recipes. Thank you for your time and I do hope that you will give it a try. I recently came upon many scientific articles linking dairy consumption to many deseases. Could you please provide your opinion on the subject? I also wrote a post with many references if you’d like to dig deeper. I would really appreciate your comments on it. I LOVE your site and weekly recipes. It’s so hard to find yummy non-dairy recipes! You should totally get a twitter account and tweet all your blog posts! !